Truck drivers deliver seventy percent of all goods in the United States. Currently, there is a shortage of 45,000 truck drivers in the United States. The truck driver shortage is expected to grow to 110,000 truck drivers by 2022. 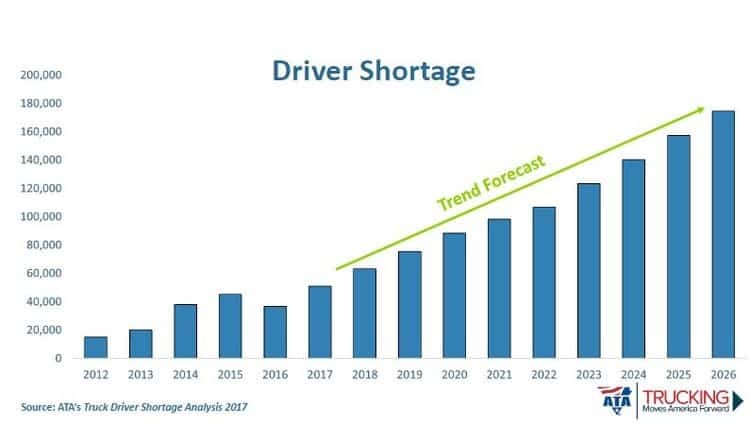 Therefore, the demand for drivers is set to increase consistently and exponentially as the economy grows and so does the shortage. The increased demand for truck drivers makes the trucking industry a desirable career path with a lot of job security. This is amplified within the auto transport industry, which has some of the most precious cargo within the trucking industry, Cars! Becoming a car hauler is a great field and will continue to grow as the shortage increases. The number of cars that exist grows exponentially as the number compounds in combination with classic cars and the millions of new vehicles produced each year.